Beautiful jewelery set for her communion. 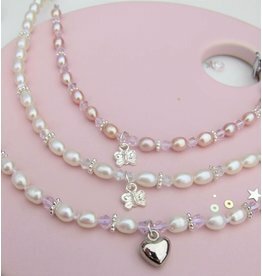 Made of white freshwater pearls, silver flowers and clear Swarovski crystals (with rainbow glow when light falls). Sweet packaged, ready-made gift.